How can the domain name registered in Godaddy use DNSPod? 3. At the left of domain name list, click the domain name you want to modify, and then click the Nameservers on the top of the page. 5. 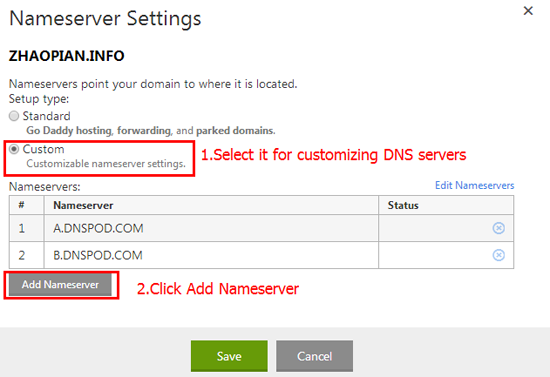 Enter three short DNS addresses of DNSPod, and save it. Then please wait for it going into effect.